Sai Gon Giai Phong has developed into a nutritious “food for the minds of the public” over the last 35 years, HCMC Communist Party Committee secretary Le Thanh Hai has said. The city Party leader made the statement at a ceremony held on May 4 at Thong Nhat (Reunification) Palace to mark the 35th anniversary of SGGP’s first edition. Also at thec eremony, President Nguyen Minh Triet conferred the Independence Order, Third Class, on the newspaper. SGGP has achieved great achievements in bringing the voices of the city’s Committee Party, Government and people to the rest of Vietnamese society over the last 35 years, Mr, Hai said. 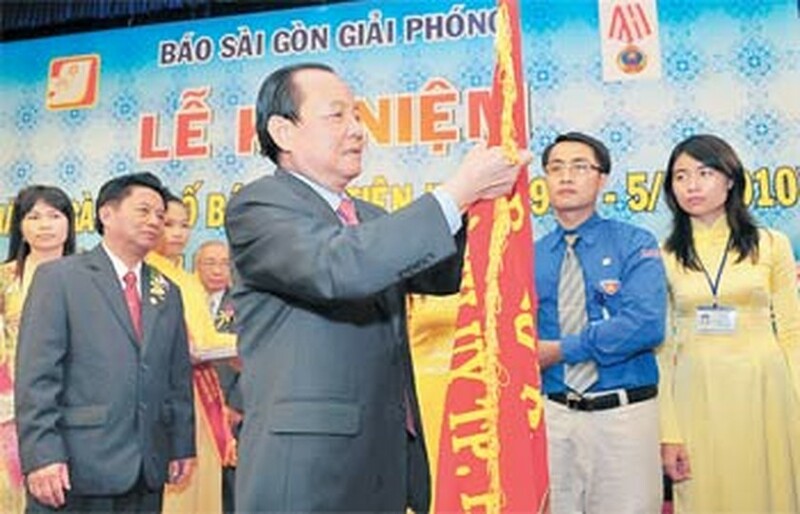 He said it deserved its title as the voice of the Ho Chi Minh City Party Committee, Government and people. The newspaper has brought the policies of the Party and State to the public in a prompt and accurate fashion, providing the public with news of all important activities in the country and the city, and promoting healthy role models and examples of “good deeds” to society, he said. The newspaper also contributed to the struggle against wrongdoings in the Party, Government and the society, he added. Along with it’s journalistic achievements, the newspaper has organized many social and charitable programs to support soldiers, needy families, poor but gifted students, and has been involved with other social project across the country. He expressed his thanks for the support the central Party, Government and other agencies had given to the newspaper, which has been led by the city’s Party Committee for 35 years. 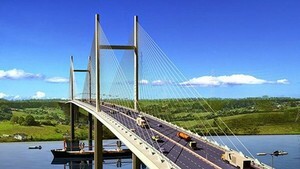 He also expressed thanks to all of the paper’s readers and partners, calling on the public to continue giving feedback to help it improve its quality. He called on the newspaper to implement the Party Committee’s instructions on the media outlet’s development plan and the agency’s decision on the structure, function and duties of the newspaper to make SGGP stronger in all of it’s three sectors: information and propaganda, economic development, and social activities. He asked the newspaper to strengthen the building of Party, step up the training of its staff, and create conditions for them to develop dynamism, creativity and solidarity in their work. He also asked SGGP to draft plans to improve the living conditions of its staff members and continue organizing practical social programs.